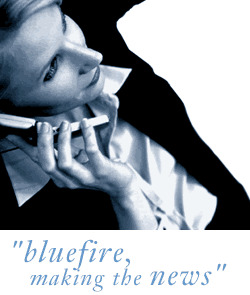 Bluefire Consulting | Contracts manager/Quantity Surveyor : engineering, contract, steel, construction, cad, estimating, quantity surveyor, planning, architecture, commercial, operations, installation, report, audits, project, office, site, programme, production, support, director, valuation, manufacture. Contracts/Quantity surveyor Hove £45K-£55K results orientated bonus. The opportunity This is an opportunity for an intelligent and ambitious person for an important and demanding role in a long-established thriving business. Engineering, Construction and/or QS experience needed. Package circa £45-£55K plus good bonus based on results and possibility of partnership. Our client is seeking an intelligent and ambitious person for an important and demanding role in a long-established thriving business. Engineering, Construction and/or QS experience needed. Package circa £45-£55 plus good bonus based on results and possibility of partnership. We are looking for an intelligent ambitious and resourceful manager who is able to wear a number of hats simultaneously for our client an SME working in the construction and steel architecture industry. The role is a combination of operations and contract management. The role is demanding but the paths that are followed are 'well worn' and the expertise to support this person is available, provided they are sharp, ambitious and self-motivated. There is a fair level of stress and a successful person will have to be calm and capable. This is not a job for the faint hearted and we are only interested in people who are looking for long term job opportunity. Managers who have contract and QS experience will be viewed positively if they have the personality and attitude we are looking for. We are looking for an ambitious, driven and intelligent contract/operations manager. Candidates will have ideally worked previously in the architectural steel industry or have a background in construction as managers. We are looking for candidates who have a variety of different experiences and so able to bring different skills to the role. It has been suggested that anyone with a quantity surveyor background or candidates who have previous experience of estimating could be a good fit for this position. We are looking for candidates who understand the how to calculate cost variations, and prepare and control cost valuations for clients. We are looking for managers who are natural leaders and who are able to communicate with employees and clients. Our Client has been trading for 70 years. It designs, manufactures and installs high quality architectural metalwork for prestigious building developments in Southern England and the Home Counties in mild and stainless steel, working as a specialist subcontractor to the Building Industry. Package circa £40-£45k plus good bonus based on results and possibility of partnership. engineering, contract, steel, construction, cad, estimating, quantity surveyor, planning, architecture, commercial, operations, installation, report, audits, project, office, site, programme, production, support, director, valuation, manufacture.